Just following Jesus in my real life...: I simply remember my favorite things…Friday favs…I’m lovin’ my blog makeover! I simply remember my favorite things…Friday favs…I’m lovin’ my blog makeover! I’m lovin’ that the peonies are blooming! I think they are just about my favorite flower! I hope if you’ve been on my blog before, you noticed my blog makeover. When I found my free swirly blue background on leelou’s blogs I fell in love with it. Then I began to play around with html codes and figured out by trial and error how to change my column widths, add and remove borders and things like that. I figured out how to do a picture header. I found I liked not only writing my blog, but “tweeking” my blog look. However, there were some things I just couldn’t figure out. How do I add a horizontal menu tab bar? I googled, I tried, I failed. How do I make and add a cute blog button? What about cute framed sidebar photos? I decided there were some things I just needed help with. But I was scared, because by now, I was personally invested in my blog. I wanted it to reflect me and my tastes and what my blog was about. She was one of my first blog followers. She listened to everything I wanted. She tweeked and retweeked things until everything was just the way I wanted. So to celebrate my new blog makeover I’m giving a lucky follower the chance to have Traci make a personalized blog button for your blog! If you are already a follower of my blog, just comment on this post for a chance to win. If you aren’t a follower, I’d love to have you follow, and then add a comment! I will announce the winner next Friday, May 28th. Love your new look! What fun to make changes. I've tried to make some changes that I couldn't figure out so I gave up. Others were important enough to me to research and try to do - some with success and others with none! It's fun to make our blogs reflect who we are and what we want it to reflect. Great job!!! I love your blog makeover. She did a great job. Love your blog look! :D And your peonies are beautiful!! your new blog makeover looks great! and how exciting to have your home repainted and a makeover in your home surroundings as well. I started a blog and still trying to figure things out abt blogging, much in trial and error also....that is so like our life as God's children...we do learn in the process. 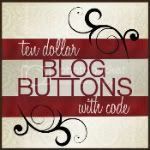 I love your blog makeover and your button. The flowers are beautiful!! Have a blessed weekend!! They are my favorite flower too! I really do love your layout here, very easy to navigate. Oh Peonies are my favorite too!! I LOVE them!! and your new look is beautiful!! Would love to win this. I just started a blog and how fun would this be to have a custom button for my little blog page!!! Great, unique giveaway, thanks.